As the owner of the Youtube PlayHouz Channel, me and my husband went to the Brick Fest Live held at Pasadena Civic Auditorium last August 22nd & 23rd. We arrived at the venue about 30 minutes before the door opens for the 3pm event. The line to get in runs up to the back of the building and having more zigzag lines to accommodate more people, who loves LEGOs. It is also my pleasure to meet Chad Collins, Founder of Learn With Bricks LLC, and producer of Brick Fest Live. This is our first time to be with many people gathered together in one place and all has one love, the LEGOs. There were different kinds of booths set up inside. There were vendors selling their new, vintage and rare Lego items, custom-made Lego minifigures, Lego jewelries and more. And there were 2 Star Wars Storm troopers characters at the photo opp area. There was also a curtained off room black-lit room with glow-in-the-dark Lego creations shining under ultra-violet light. 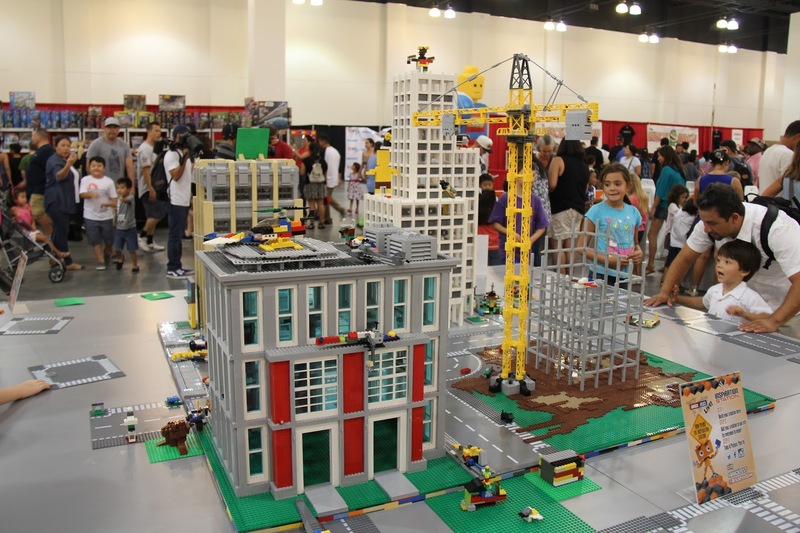 Brick Fest Live bills itself as a touring Lego event featuring hands-on activities and exhibits, all designed to inspire, educate and entertain. There’s an entertainment section where you’ll find Lego-themed video games, and a Lego mosaic area, where you can build a piece of LEGO art that will be put on display for everyone to see. Best of all, are the “Inspiration” stations where you can add your custom Lego creation to existing Lego cities already on display. I suggest, you if you will join Brick fest next year, purchase you ticket in advance. If you’re a kid or a kid at heart this a an event you should not miss.